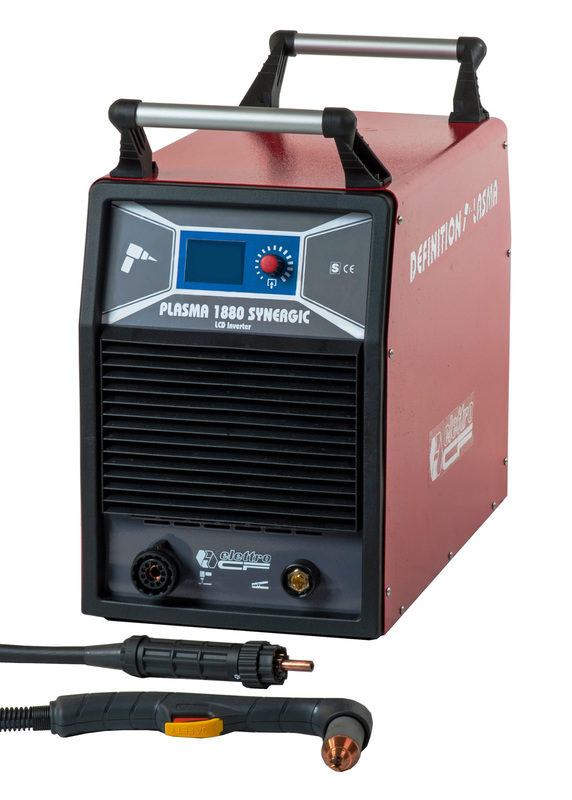 The three-phase compressed air plasma metal cutting power source, PLASMA 1880 SYNERGIC LCD INVERTER is the first and most powerful synergic plasma inverter. The power source features innovative SYNERGIC PLASMA technology (patent pending) that automatically sets all cutting parameters according to the information received from the operator regarding the material being processed and the selected process. This synergic power source is also equipped with an automatic pressure regulating system for the supply gas (compressed air or special gases) and can optimise performance in all operating conditions, even without the intervention of the operator. Thanks to this system, the machine can automatically handle, without the need for any adjustment, three different torches with the possibility of different lengths: ECF-71, ECF-131, ECF-181. It is particularly suitable for heavy duty carpentry applications and for continuous work cycles, for manual and automatic manufacturing in industry and handicrafts. The ignition of the pilot arc without HF allows you to work near computers or, in any case, equipment sensitive to high-frequency emissions such as electromedical equipment. It may be powered by motor generators of suitable power. It offers the possibility to activate a security password. Equipped with safety systems on the torch. Technical explanations of the innovative functions and technologies of new plasma cutting machine PLASMA 1880 SYNERGIC LCD INVERTER, in particular of the SYNERGIC PLASMA technology that automatically sets all cutting parameters according to the informatin received from the operator ragarding the material being processed and the selected method. 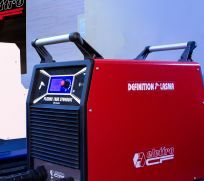 High-frequency DC and AC-DC power sources for TIG welding. 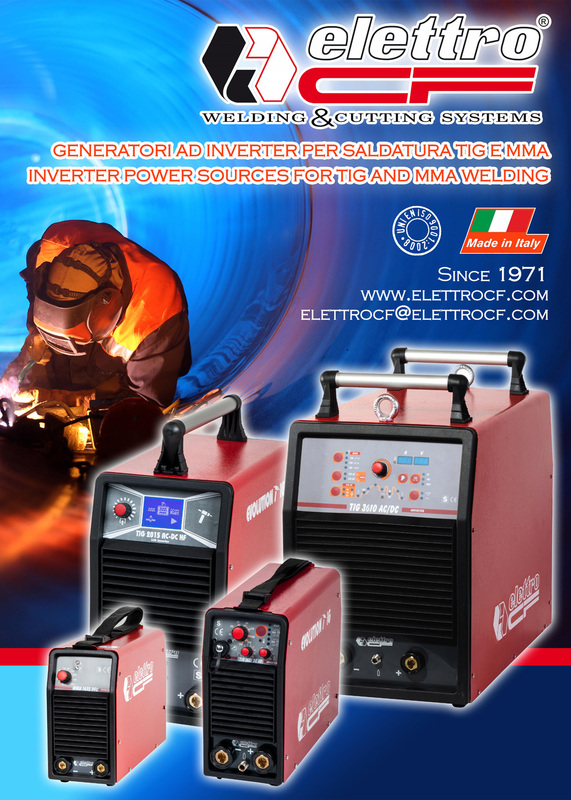 Traditional and with inverter technology power sources for MMA welding. PLASMA metal cutters: traditional and with inverter technology power sources. Innovative DEFINITION PLASMA line with a wide range of machines. 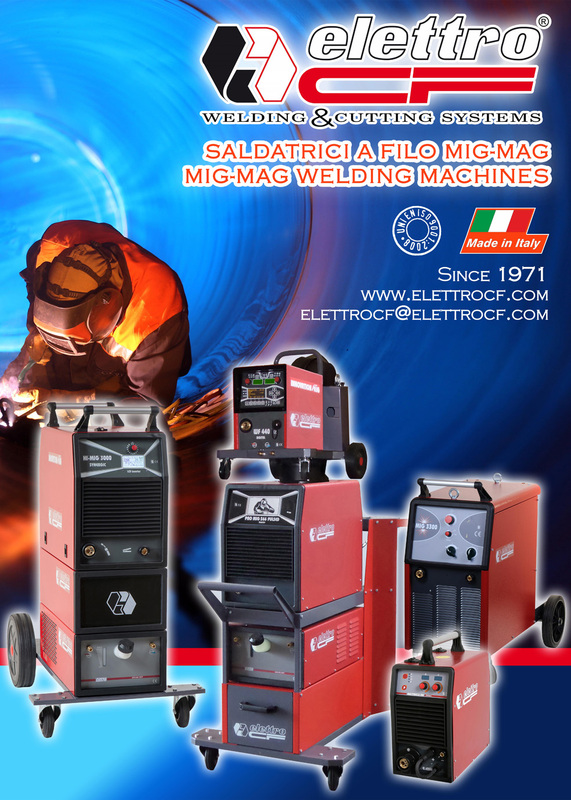 MIG-MAG welding machines, compact and with separate wire feed unit, step type, synergic type and with inverter technology. Elettro C.F. 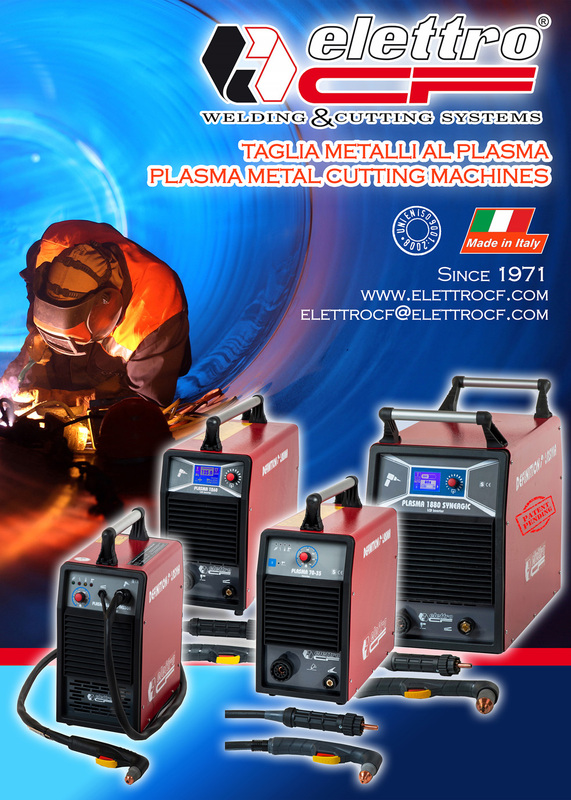 has been devoting itself to the design and production of arc welding and plasma cutting power sources since 1971. The matching of experience, engineering skill and technological research allows Elettro C.F. to introduce innovative and reliable products on both national and international markets. It has adopted the quality system ISO 9001:2008. On website www.elettrocf.com you will find: information about our machines, news and events.